Born: 14 May 1869, Stralsund, Germany. Died: 22 March 1951, Johannesburg, South Africa. Friedrich Karl Kleine studied medicine and the natural sciences at the University of Halle, Germany, where he was awarded the degree Doctor of Medicine (MD) in 1895 for a thesis on the metabolism of chloral hydrate, Ueber die Beeinflussung der Stoffwechselwirkungen des chloralhydrats durch Kohlensaures Natrium (Halle a. S., 1895, 52 pp). After working briefly as assistant physician at the Laboratory of Medicine and Experimental Sciences of the University of Koenigsberg he became chief physician in the medical clinic at the University of Kiel in 1897. In February 1900 he joined the Institute for Infectious Diseases in Berlin, which came to be know as Koch's Institute after its director, Dr Robert Koch*. The next year he was appointed head of the Division of Infectious diseases. In January 1903 Kleine and Dr F. Neufeld* arrived at Beira, Mozambique, as assistants to Koch in his investigation of a cattle disease in Rhodesia (now Zimbabwe) on behalf of the British South Africa Company. When they arrived in Bulawayo, Zimbabwe, it was too late in the season to properly study the disease, which Koch recognised as different from redwater and named African coast fever (now East Coast fever). They were unsuccessful in producing the disease with injections of blood of diseased animals, and also unsuccessful in producing effective immunisation against it. Kleine again accompanied Koch to Africa in 1906 to combat sleeping sickness (trypanosomiasis) on the shores of Lake Victoria, on behalf of the German government. There Koch introduced the use of the trypanocide atoxyl, the first drug for this disease, which was field-tested by Kleine and continued to be used for many years. 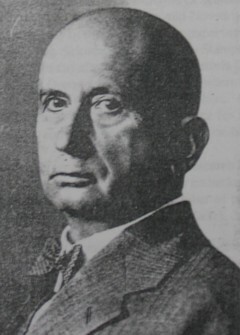 Kleine became head of the campaign in German East Africa in 1907 and devoted most of his career to the study of trypanosomes and trypanosomiasis. Two years later he clarified the developmental cycle of trypanosomes in the tsetse fly. In 1914 he proceeded by sea to Cameroon, on the west coast of the continent, where a dangerous outbreak of trypanosomiasis had occurred. This visit was described in his report Reisebericht: Kamerun (1914, 24p). The next year he contributed to the discovery of Loa loa (a parasite of the family Filariidae that causes the disease loasis in humans) in blood-sucking flies of the genus Chrysops. His work in Africa for the German government came to an end during World War I (1914-1918), when Germany lost its African colonies. However, soon after the war an opportunity arose that allowed him to return to Africa. A German company had developed an effective agent against trypanosomes in mice, which needed to be tested on humans. The British government agreed to its use in Northern Rhodesia (now Zambia) and in October 1921 Kleine, assisted by Major W. Fisher of the Medical Corps and Miss Ockelmann (who later became Koch's wife) set out from Hamburg. They travelled by sea to Cape Town and from their by train to Pretoria where they visited the Veterinary Research Institute at Onderstepoort with Dr A.J. Orenstein. They met Dr Arnold Theiler*, who became one of Kleine's friends. Upon their arrival in Zambia they did not find enough persons suffering from sleeping sickness and therefore transferred their work to the Belgian Congo (now the Democratic Republic of the Congo). Kleine returned to Germany in 1923. From 1926 to 1928 he and his wife visited East Africa again as members of a trypanosomiasis expedition sponsored by the League of Nations. He described the expedition's work in the Final report of the League of Nations International Commission on human trypanosomiasis (Geneva, 1928). After another visit to East Africa in 1929 he came to Johannesburg in August 1930, where Dr Orenstein persuaded him to go on a brief visit to Zambia in order to test new antimalarial drugs. Kleine succeeded Dr Neufeld as president of Koch's Institute in July 1933, but retired from this post when he became 65 a year later. He visited Africa three more times before the outbreak of World War II in 1939. On one of these visits he worked at Onderstepoort during 1936-1937 and provided expertise on East Coast fever and foot and mouth disease in Zimbabwe. While at Onderstepoort in September 1936 he described his work on trypanosomiasis in a lecture, "Remarks on Sleeping Sickness", that was published in the Journal of the South African Veterinary Medical Association (1936, Vol. 7). He continued his work in tropical medicine at Koch's Institute until he reached the age of 78. During his long career he not only became an authority on trypanosomiasis, but also contributed to the study of many other diseases of humans and animals. In July 1947, at the invitation of Dr Orenstein, he settled in Johannesburg where he spent his remaining few years. During this time he wrote Ein Deutscher Tropenarzt (A German specialist in tropical medicine; Hanover, 1949), dealing with his work, correspondence and reminiscences. His work on various diseases of humans and animals was described in numerous scientific papers, most in German journals. In his will he left funds to enable young German scientists to work at the Onderstepoort Veterinary Research Institute. Google scholar. http://scholar.google.co.za Publications by F.K. Kleine. Janitschke, K. Kleine-Koch-Orenstein: The German connection with medical research in South Africa. Adler Museum Bulletin, 1985, Vol. 11(2), pp. 16-18.